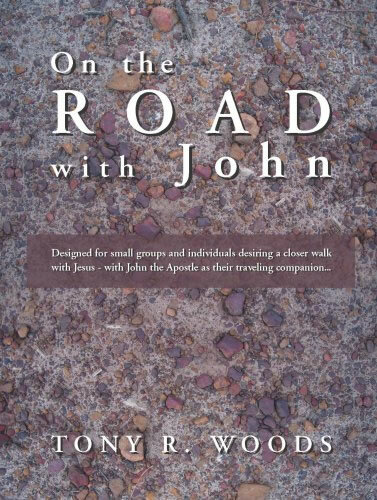 From the author of The Road Rising, Looking for a Lamb, and Uncle Buddy comes a hands-on Bible study designed for small groups and individuals desiring a deeper walk with Jesus – with John the Apostle as their travelling companion. Gleaned from the pages of the fourth Gospel, and presented in fifty-two short and easy-to-read lessons, On the Road With John provides background information, discussion and though questions, and a format which lends itself readily to a once a week, one year commitment. Why John? Of the four Gospels which tell of the life of our Lord, John is without a doubt the best known, most often quoted and best substantiated of them all. But what makes this book so intriguing is the fact that it stands apart from the others, using source material from which Matthew, Mark and Luke did not draw. It has been said that these three 9called the Synoptics) draw a picture of Jesus, which John colours in.